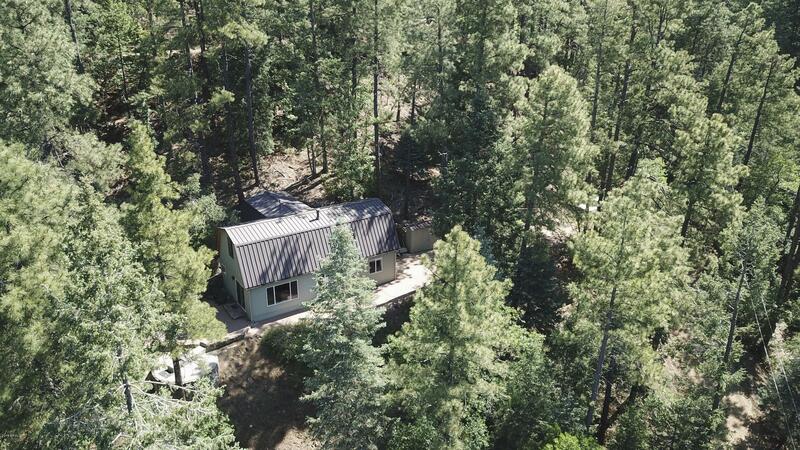 Enjoy the splendor of the Cool Pines of Prescott in this gated community surrounded by Prescott National Forest. This cabin features open great room, dining room and Kitchen. Great Room offers a cozy round glass enclosed fireplace for those cool evenings in the pines. Spacious Master Suite on Main Level, Loft area with large sleeping area accommodates 2 king size beds with a separate sitting area framed by the windows to enjoy reading a good book or be inspired by the unique setting, views of the pristine forest, pine covered mountain ranges and blue skies. 2nd bedroom with private entrance and 3/4 Bath is located on the 2nd level. Well Constructed home with walls of beautiful tongue and groove pine provides that mountain living lifestyle. A private get away retreat you will want to see.